Transforming Faces is so proud of the remarkable work that our partner, Sri Ramachandra University (SRU) has been doing to deliver quality cleft care in India. The communities that TF and SRU serve in Tiruvannamalai and Cuddalore are remotely located and have limited health infrastructure. As a result, access to cleft services is made possible through community-based rehabilitation (CBR) workers who travel to patients’ homes for follow up cleft care. With the help of this model, patients with cleft lip and palate are able to receive ongoing care such as speech support, oral and dental care and hearing evaluations without having to travel long distances. The CBR workers use an innovative mobile application called E-MPOWER, to track patient progress through mobile phones. With the help of E-MPOWER, CBR workers can document demographic information, track distance travelled, send the results of speech screening procedures, and transmit video and audio samples to specialists at the hospital to help assess patients’ progress and alter their treatment plans as needed. In the recent past, our partners have started using a mobile phone enabled video otoscope during home and community based visits. 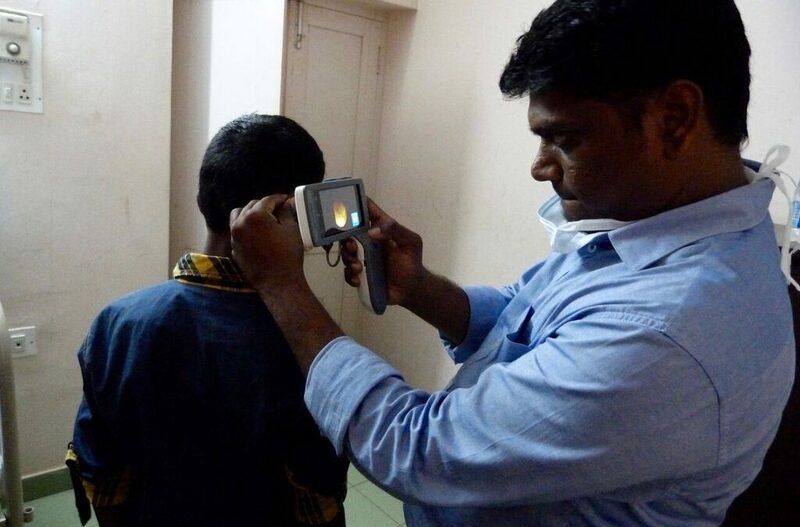 This simple but useful technology helps the CBR worker view the patient’s ear canal and ear drum during community-based aural screenings. Any anomalies can then be easily identified and hospital referrals can be made as necessary. 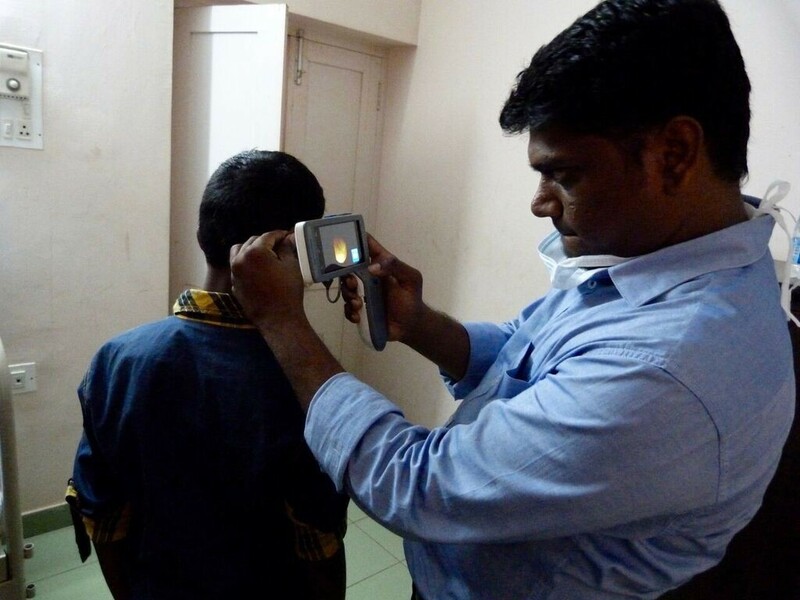 Dr. Akilan Rajendran has been working with SRU and Transforming Faces to implement this otoscope technology in the field. 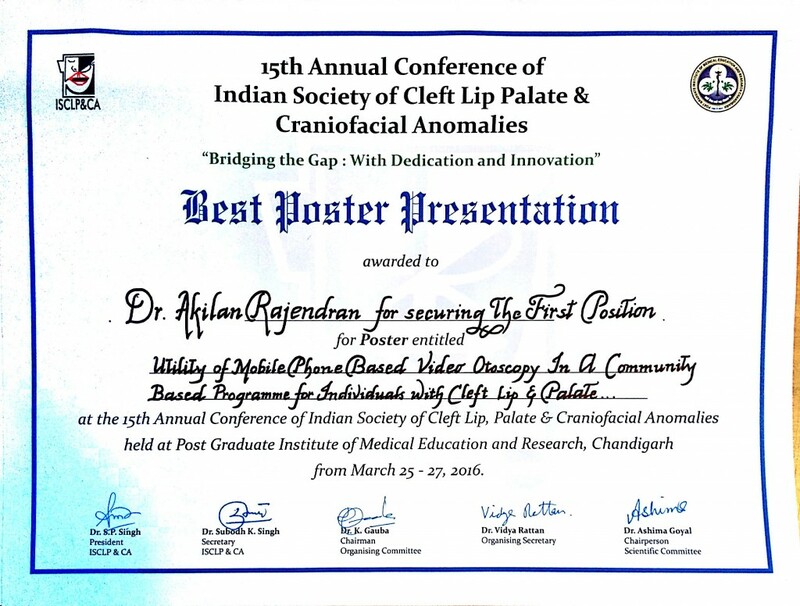 He attended the 15th Annual conference of Indian Society of Cleft Lip Palate & Craniofacial Anomalies (Indocleft Conference 2016) in Chandigarh from March, 25-27, 2016, where he presented this technology to delegates coming in from all over the country. Dr. Rajendran also had the opportunity to learn more about progress that cleft care professionals from other parts of India have made. We are so proud to share that SRU’s otoscope technology received the best poster presentation award at the conference. Congratulations to Dr Rajendran, and our partner SRU for this remarkable achievement!